If you have one or more failing amalgam metal fillings, the Center for Advanced Dentistry team would like to invite you to visit our office for a filling removal consultation to discuss safely removing your old amalgam filling. You may not be aware that research shows that these metal fillings are actually not good for your teeth or the health of you whole body. Every amalgam filling combines a large amount of mercury, which is highly toxic when it vaporizes. That makes mercury difficult to remove safely. In our state-of-the-art Beachwood dental office, we’re dedicated to providing holistic dentistry that keeps your whole body health in mind as we create every treatment plan. We are one of the few dental offices in the Beachwood area that offers safe amalgam filling removal. Please call our team to schedule an appointment today. 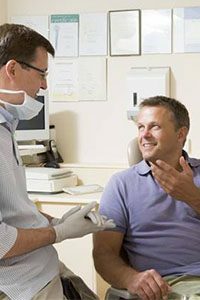 We look forward to helping you improve your oral and overall health. 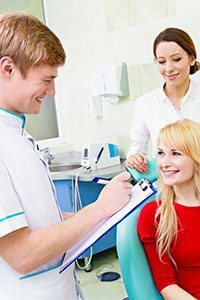 Why Should I Remove my Fillings? 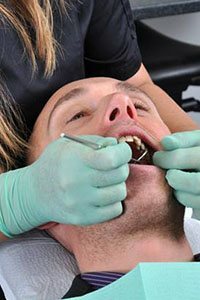 Amalgam metal fillings are actually not the best choice for your smile. In order to place the filling, healthy tooth enamel had to be removed to create wedges that hold the filling in place. Additionally, amalgam expands and contracts at a higher rate than natural tooth structure, which can further damage the tooth or cause the filling to break away from the tooth. Most metal amalgams are made from 50% mercury, 35% silver, and 15% “other” metals. Many metals, including mercury, can be highly toxic. Mercury is more toxic than lead, cadmium, and arsenic. Supporters of amalgam fillings remind patients that only mercury vapor is toxic. Unfortunately, every time you chew, brush your teeth, or drink hot liquids, you risk causing mercury vaporization and allowing the toxins to leach into your system. When vaporized, mercury is introduced into the blood stream and can pass into your organs and muscles. It can be distributed throughout the body and lodge in various areas where it accumulates, especially in the brain. Recent research indicates that the cumulative effects of this toxin are devastating. Autopsy studies showed a link between high levels of mercury in the brain and metal fillings. 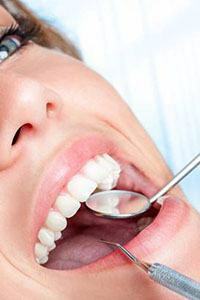 Additionally, changes in body chemistry and organ function have been reported, and research is continuing to determine a direct link with amalgam fillings. To avoid vaporization, we keep the filling cold with a continuous stream of cold water. We use a nasal mask to deliver oxygen to you during treatment and ask that you avoid inhaling through the mouth during the procedure. We wear protective eye gear and cover all areas of exposed skin (yours and ours) to avoid skin irritation and other dermal mercury reactions. We use rubber dams to isolate just the area of the mouth with fillings we’re removing to prevent accidental swallowing of the dust and vapor that are produced during filling removal. To avoid heating the amalgam with our drills and increasing vaporization, we use a large drill to break the filling into chunks that can then be removed safely. Because the filling will release some vapors and dust during the procedure, we use suction to continually draw out the particulates. Once your fillings are removed, you may still have mercury toxins in your body. The logical next step in the treatment process is to partner with specialists to reduce toxin levels in the body. We are happy to work with you to find a practitioner to deliver whole body detox.